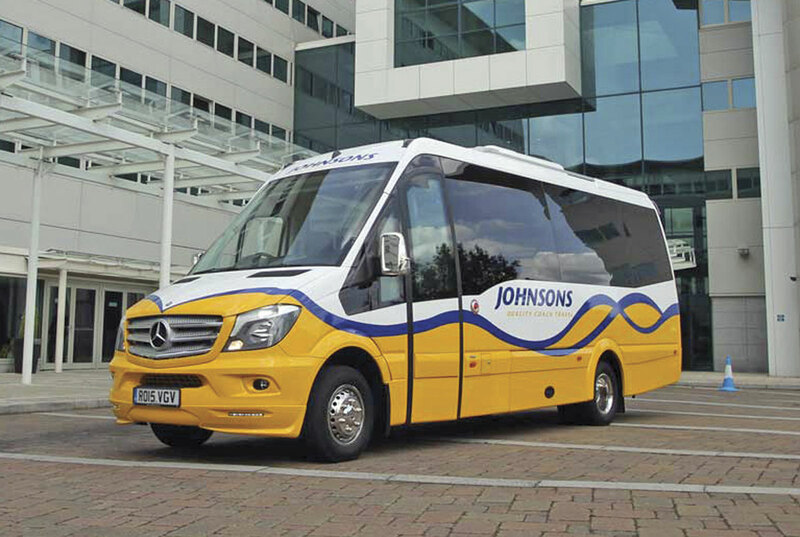 Johnson Coach and Bus Travel of Henley-in-Arden has taken delivery of an EVM Grand Tourer, based on the Mercedes-Benz Sprinter. It is powered by a Euro6 516Cdi 163bhp common rail direct injection diesel engine matched to a seven-speed G-Tronic automatic gearbox. It has a new Massats plug type passenger electric entry door, 2.8 cubic metres of rear luggage space, two full length brushed aluminium and wood effect luggage racks and Webasto saloon air conditioning. Entertainment is provided by a Mercedes-Benz Audio 10 system, incorporating a radio/CD player, saloon speakers integrated in the passenger service units, a 17inch monitor recessed in roof at the front with DVD incorporated in the dash, USB charging ports and a PA system with hand microphone. 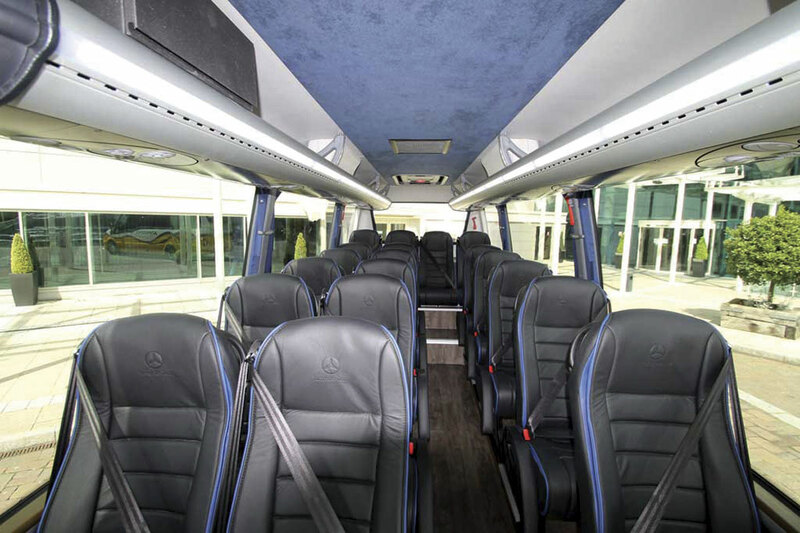 The saloon is equipped with 19 Executive 110 seats.